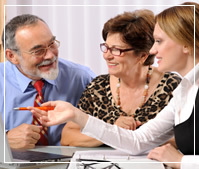 There are many different types of trusts that are created for a wide variety of purposes. One of the most common trusts is a Testamentary Trust which is typically set up for a young child, a relative with a disability, or any other person who inherits a large sum of money upon the death of a testator. This type of trust is commonly contained in a will which provides how the estate or part of an estate is to be distributed. Sometimes it is preceded and enacted by a life insurance policy that was held by the person who is establishing the trust. Sometimes there is more than just one testamentary trust set up with one will. Many times this type of trust is set up when there are large amounts of money that are to be distributed to minor children or young adults. The trust will be set up so that the child(ren) have someone else who will be responsible for handling the money until the child becomes mature enough to handle it responsibly. A testamentary trust is usually part of a will which is drawn up by the settler who will appoint a trustee who will manage the funds that are placed in the trust. They will ensure that the beneficiary receives the money or benefits until which time the beneficiary is able to take over the funds themselves. Usually a testamentary trust is in effect until an expiration date which is always lined out in the terms of the trust. The testamentary trust is typically set up inside a predetermined time limit such as when the beneficiary reaches a particular age like 21 or 25, or when they complete their college education. There are numerous times when an individual will elect to create a testamentary trust in order to protect either their minor children or a loved one who is disabled and is going to inherit a large amount of money at the time of the individual’s death. If the time frame is exceptionally long the trustee may need to be monitored by the courts. The testamentary trust can end up being very expensive in some cases, especially when it is compared to other options like a revocable living will. For those times when the trustee requires any type of legal advice about how the testamentary trust is to be administered the required legal fees are usually deducted from the trust. This means that even less money will be available to the beneficiary. It is advisable to discuss the various types of trusts with an attorney so that they can offer knowledgeable advice concerning which type will be best for any particular situation. There are many attorneys who may advise against a testamentary trust and opt instead to suggest a revocable living will. However, if parents have a large amount of life insurance that is to be paid to children upon their death the testamentary trust may be the preferred option. Ask an attorney about this option as it may be preferable for providing for children in the event that a parent passes away unexpectedly. In these cases, a testamentary trust can dictate the terms of how the children are provided for. An attorney can provide qualified advice as to the most appropriate options. If an attorney suggests that a testamentary trust is the best option for a particular situation, it is very important who is selected to serve as trustee. This is partly because the trustee is not necessarily required to honor all the terms that are laid out in the trust or will. It is crucial that a settler choose a trustworthy person to act as trustee.